I often read that you should have your eyes over the ball when putting. But how can I check this easily? Having your eyes directly over the ball when putting helps to make putting easier. But there have been some great putters that have not had their eyes over the ball and putted great. However, I always teach golfers to have their eyes over the ball, as it’s something that can be easily replicated and checked, which naturally will lead to consistency. To check this, simply setup to a putt as normal, but make sure you have another ball in your pocket. Then once setup, pull out the other ball and hold it over your left eye, then let the ball drop. 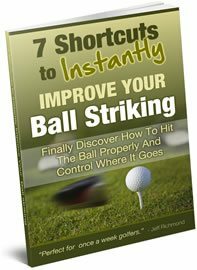 If your eyes are in a good position, and you have the ball positioned correctly in your stance, then the second ball will land on your first ball. If the ball you drop lands behind the ball on the ground, it means that your ball is positioned too far forward. And if the ball lands in front of the ball on the ground, it means you have the ball positioned too far back. When checking your eye position you can tell if your eyes are too far over the ball if the ball lands outside the ball, and if your eyes are not far enough over the ball then the second ball will land inside the ball. If your ball did not hit the ball on the ground it does not mean that you won’t hole any putts, because undoubtedly you have. 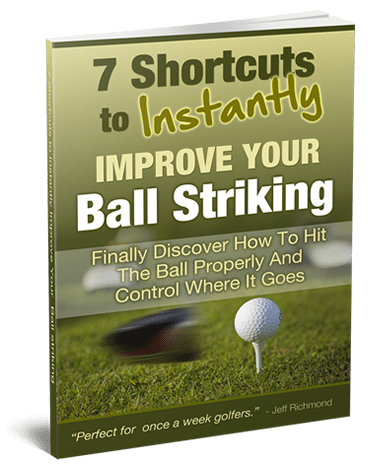 But for most golfers the goal is consistency, and if you can get in a putting position that you can check then that’s got to make your putting more consistent. So I suggest you setup with your eyes over the ball, so that when you drop the ball from your left eye it lands on the ball on the ground. You can repeat that setup position, and you can check it easily too. That can only do your putting good.